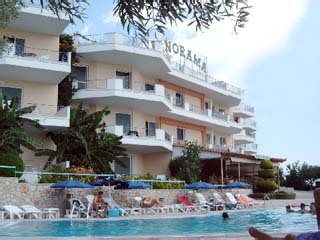 The Amphitryon Hotel is located in the town of Nafplion, in the region of Peloponnese, bordering the historic Nafplion city's center, with a magnificent seafront location, overlooking the fortified isle of Bourtzi and the bay. 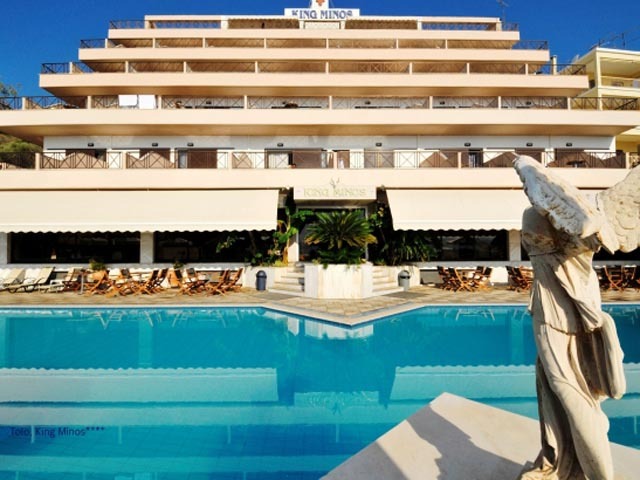 The Amphitryon Hotel is only 90 min drive from Athens International Airport "Eleftherios Venizelos" and 140 km from Athens city. Just 15 minutes drive from the hotel, one arrives at Mycanae, the famous Ancient town, and in 25 minutes the Ancient amphitheatre of Epidaurus.The walk inside the historical town of Mycenae,visiting the monuments and the palace of Agamemnon lets you step bakc in time. 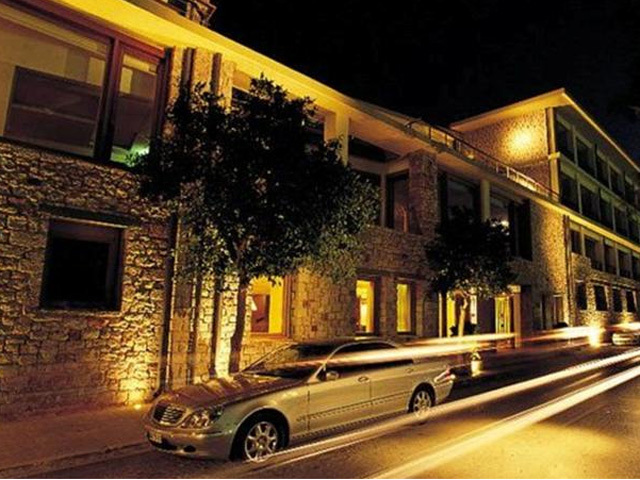 The accommodation can best be describedas superb indulgence with 42 luxury rooms and 3 suites overlooking the spectacular view of the bay of Nafplion and tiny island of Bourtzi. Wrapped in style the deluxe rooms offer majestic views of the sea and beautiful colours of the sunset even from the bed height. The windows open to the sea giving the sense that you are entirely surrounded by water.A definite romantic space where you can relax by sipping a cup of coffee on your private balcony before organizing your full day activities. Being lazy at some point there is always a relevant activity to pursue. All rooms feature: Marble lined bathroom with electrically controlled blinds at the window above the bathtub, other rooms are also available with douche hydro-massage. The marble lined bathroom features electrically controlled blinds at the window above the bathtub. Feel the ultimate pleasure while soaking into the aero spa tub enjoying the intensely blue water and gaze at the historical Bourtzi in a serene and tranquil atmosphere. Wrap yourself afterwards in the soft white bathrobes provided at every room. Gracefully elegant, there rooms consist of one bedroom with a private deck terrace which enables you to walk out and enjoy breakfast viewing the wonderful bay. The unique deck terrace area provides the picture perfect setting for a romantic dinner overflowing by first class champagne. The beautiful marble lined bathroom indulges your senses as you relax in the air bath tub gazing the blue crystal waters from the large window right above you. Family Room Max occupancy 3 persons Exclusive rooms with two bedrooms ideal for families offering premier site whilst providing superb comfort. Decorated with contemporary style, forming the rooms furniture till the marble lined bathrooms consisting of aero spa in one of the bedrooms and a douche-hydro massage for single occupancy at the second bedroom. Enjoy these spacious accommodations in combination with personalized service which contributes to the individual character of Amphitryon Hotel. 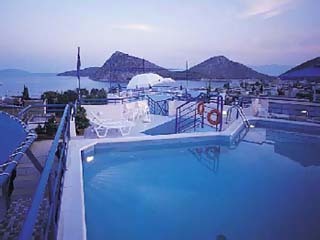 The Amphitryon Hotel banqueting and meeting room with natural daylight provides seating for up to 60 persons. 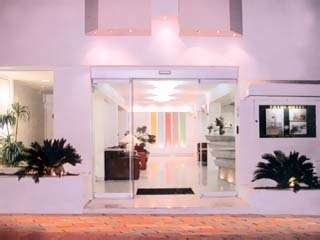 Meetings and conferences for up to 316 people are welcome at the Nafplia Executive Centre at the Nafplia Palace – in walking distance or by elevators. Walking paths, tennis courts, mountain bikes and jogging track are all nearby. Fine Mediterranean cuisine served at the panoramic Circle Restaurant with widescreen views and the melodic sounds of live piano. The Circle veranda has stunning views over the bay and the Bourtzi isle serving fresh local and international specialities. Beach Restaurant (seasonal): A variety of salads, warm and cold appetizers and main dishes inspired from the local cuisine, as well as desserts, fruit, drinks and cocktails.